Macon County is a county located in the state of Illinois. According to the 2010 census, it had a population of 110,768. Macon County was created on January 19, 1829. The county seat is Decatur. The county is named for Nathaniel Macon (1758-1837), sixth Speaker of the United States House of Representatives and United States Senator from North Carolina. The county is named for Nathaniel Macon, revolutionary soldier and later United States Senator. Macon County was created on January 19, 1829 (Laws, 1829, p. 28) and was formed from unorganized land (Shelby County). Present area, or parts of it, formerly included in: County Shelby County (1821-1829), Fayette County (1821-1827), Sangamon County (1821-1829), Clark County (1819-1821), Bond County (1817-1821), Crawford County (1816-1819), Madison County (1812-1817), Edwards County (1815-1816), St. Clair County (1801-1812) and Knox, Northwest Territory (1790-1801). The County was named for Nathaniel Macon, a Colonel during the Revolution and later a Representative and United States Senator in Congress from North Carolina. He strenuously opposed the adoption of the United States Constitution as conferring powers on the Federal government, which should be reserved, to the states. 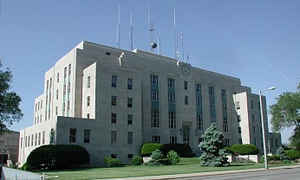 The County Seat is Decatur. Prior County Seats was Home of James Ward (1829-1830) and Decatur (1830-Present). As reported by the Census Bureau, the county has a total area of 585 square miles (1,516 km2), of which, 581 square miles (1,504 km2) of it is land and 5 square miles (13 km2) of it (0.83%) is water. 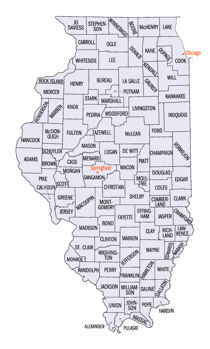 Macon county is located close to the center of Illinois. 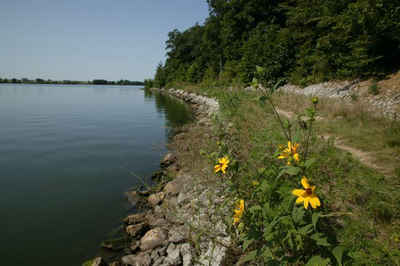 Lincoln Trail Homestead State Memorial and Spitler Woodre State Natural Area are located in this county.